LG Electronics (LG) announced the launch of its 100-inch Laser Display (HECTO).This advanced system comprises an immersive screen, and an Ultra Short Throw (UST) unit that is capable of projecting images over an extremely short distance. A masterpiece of home theater design, the 100-inch Laser Display offers Full HD 1080p screen resolution along with incredible contrast, thanks to LG’s laser-based technology. The product is a completely new concept by LG and was selected for the CES 2013 ‘Product of the Future’ by Popular Science. The LG Laser Display boasts Full HD resolution and a 10,000,000:1 dynamic contrast ratio, rendering the most vivid images and incredible clarity. The anti-reflective screen allows viewers to enjoy stunning, cinematic picture quality, even in the brightest of conditions. While conventional projection systems require a considerable distance to display images on a large screen, the lens of LG’s UST unit can be positioned a mere 22 inches away from the 100-inch display. This clever, space-efficient configuration means the user doesn’t have to sacrifice half the room in order to enjoy the many benefits of the Laser Display. LG’s Laser Display has two 10W speakers built into in the UST unit, which support virtual surround sound for an authentic cinema experience at home. The compact device features LG’s understated yet stylish Dynamic Arc Design with a subtly curved surface that reaches an unobtrusive 5.7 inches in height. Meanwhile, the 100-inch screen adopts LG’s CINEMA SCREEN Design for a slim and minimalistic appearance, compatible with any interior décor. LG’s UST projection unit employs a technologically advanced laser-based illumination system. It features a specialized bulb that can operate for 25,000 hours without needing replacement, which is five times longer than an environmentally-unsound mercury lamp. Removing mercury from its high quality products is just one example of how LG is striving to become more environmentally friendly. ZyXEL Communications announces the appointment of Bhupinder Rustagi as its Regional Head in Western Region of India. Bhupinder Rustagi has an experience of more than 13 years in business strategy and execution, large account management, channel management and market development.Mr Rustagi would be handling the Western Region with the main focus on identifying, mentoring and managing potential as well as current partners to grow in regional business. Rustagi’s main target would be building ZyXEL’s image as one of the most channel friendly company. He also aims to increase effectiveness of marketing and communication so it helps in maximising the recall factor among channel partners. Bhupinder Rustagi has previously worked with Atulya IT Consultants & Services Pvt, Limited, UT Starcom India Telecom Pvt. Ltd, Spirent Communications and Ingram Micro India Private Limited. Working on the different verticals of System and Network Integrators, Network Service Providers and Original equipment manufacturers he has attained this position due to dedication, hard work and sincerity. He believes in building good customer relationships and setting high standards to deliver the business commitment. Samsung Electronics has announced the launch of the GALAXY Grand Quattro, a new addition to the GALAXY Grand series launched earlier this year. With an expansive 11.9cm display, the Dual-SIM GALAXY Grand Quattro provides the user with an experience which enables them to seamlessly multitask between applications. Vineet Taneja, Country Head, Samsung Mobile, said, "Galaxy Grand Quattro is a revolutionary device that combines powerful performance with smart multitasking and advanced usability. Following the success of the Galaxy Grand introduced in January this year, we are confident that the Galaxy Grand Quattro will meet the needs of consumers looking for the ‘Grand’ experience in a slightly smaller display." Powered by 1.2GHz Quad-Core processor and Android 4.1.2 (Jelly Bean) operating system, the Samsung GALAXY Grand Quattro comes with a 5MP camera and enhanced photo-taking features such as Continuous Shot, Best Photo, Colour Effect for enhanced photo-taking capabilities. The GALAXY Grand Quattro also comes with various Smart Features that enables the user to control and connect with the device. The GALAXY Grand Quattro comes pre-loaded with ChatOn, Samsung's cross-platform communication service that enables the users to socialize with friends and to do more than just instant messaging. Samsung GALAXY Grand Quattro is priced at Rs.17,290/-. As a special introductory offer, the device comes with a Digital Wallet of INR3,000 valid for 90 days applicable on Games. Netmagic Solutions, India's only datacenter infrastructure lifecycle management (DILM) company and subsidiary of NTT Communications (NTT Com), today announced that it is building a spanking new datacenter that will add a massive 1,00,000 sq ft of net floor space to Bangalore's supply constrained data center market. The new data center in Electronic City, "India Bangalore 2 Data Center" will be operational by December 2013. The company anticipates the capacity to be utilized by large IT/ITES companies looking for scalable and high quality data center space for their R&D centers as well as their end customers' space requirements. The data center will add to the growing number of NTT Com's world class data centers globally. NTT Com which is a member of NTT group, ranked no.1 in telecom industry in the Fortune Global 500, runs more than 140 data centers globallyunder its newly launched NexcenterTM brand and holds a majority stake in Netmagic Solutions. This is the first datacenter in India to have benefitted from the collaborative engineering and operational expertise of NTT Com and Netmagic. Renowned for its 24x7 customer service and IT competency, the award winning datacenter service provider,Netmagic has 7 datacenters in India including 4 in Mumbai and one each in Bangalore, Noida (Delhi-NCR) and Chennai. The 15 year old pioneer has over 700 people delivering services to over 1200 enterprise customers from across industry verticals. The datacenter will deliver the entire range of services of Netmagic including managed co-location, dedicated hosting, IT infrastructure monitoring and management, security and cloud computing services. The datacenter will offer co-location space with high power and cooling densities, and can offer not only individual racks, but also highly secure cages and enclosed server rooms to meet the requirements of large global enterprises. As with all of the company's data centers, connectivity from multiple telecom providers will be available from physically redundant paths allowing customers to architect on any network of their choice. The data center is designed with high levels of redundancies and a stringent focus on security, both physical and logical. Enterprises can expect further attention to detail with amenities such as highly secure material handling system based on bar coding and multiple checkpoints, adequate customer office space, dedicated storage space, and heavy equipment handling systems. In addition to serving the needs of businesses located in and around Bangalore, the data center shall also act as a perfect place for large organizations across India and other geographies to establish their disaster recovery and business continuity sites. Enterprises planning to migrate to any of Netmagic's data centers can avail of their data center migration management expertise that has been honed over several migration projects planned and managed for enterprises hosted in their data centers. The company has already begun accepting orders for its managed hosting and co-location services. Netmagic is also offering complimentary migration service to the first three customers opting to move their current data center to Netmagic's new data center in Electronic City. RAPOO, global leaders in providing cutting-edge wireless peripheral products, has launched H8030 - 2.4GHz wireless USB headset with a unique noise canceling microphone. The noise cancellation facility can be turned on by swinging the microphone-you connect by swinging the microphone down and terminate the call by swinging it up. The product strongly provides wireless connectivity up to 10m and allows you to enjoy music, chat & make calls via Skype from PC. The H8030 2.4 GHz wireless headset comes with 2.0 USB Nano transmitter. RAPOO H8030 has a wireless transmission distance of 10m. This headset can run for 8 hours with a minimum charge of 2 hours and has a stylish outlook with eye-catching double color shades. Mr. Sunil Srivastava, India Sales & Marketing Manager at RAPOO India said, "Customer can now have a unique headset which can assist PC users, travelers and even office people by connecting quickly to calls by just a swing. RAPOO H8030 has a sensitive ear cover that provides extra comfort level while enjoying music, chat & internet calls at work. Partners can look forward for this reliable product to promote this summer and consumer can enjoy during their free time." RAPOO H8030 wireless headset comes with a MRP of Rs 3,949. It comes with 2 years replacement warranty and is available ex-stock. ASUS India, a leading brand driven by the strength of mastering technological innovation and design perfection for the ultimate life-enhancing and computing experience,today, announced the launch of its Exclusive store in Aurangabad, Maharashtra. 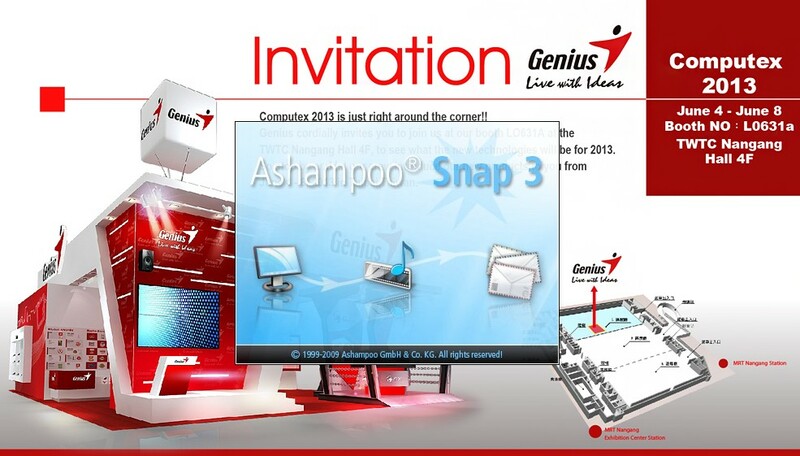 The outlet will feature the entire range of Notebooks and Netbooks that have been launched in India till date. Sugi Computers, which is the exclusive store, is locatedatShop no. 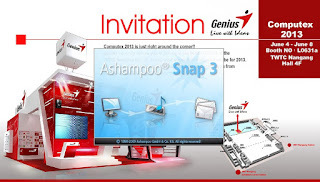 81, Sindhi Colony shopping complex,JalnaRoad, ModhaNaka, Aurangabad-431005. The launch of this new store is in line with ASUS’ retail strategy toreach the customers better and penetrate deeper into high potential cities like Aurangabad. The company believes in attaining technological and aesthetic perfection through continuous innovation. The ASUS design creationaims to understand the user’s computing needs and to make innovative products that provide a complete computing experience. In view of the ongoing retail expansion, ASUS is endeavoring at providing opportunity to customers in the Indian market including various small cities and towns, to have steadfast information on its superior technology and product range. The company has already set up stores in New Delhi, Kolkata, Mumbai, Calicut, Goa, Thane, Raipur, Bhillai, Gurgaon, Durgapur, Kanpur, Cochin, Kolhapur, Noida, Pune, Amravati, Kottayam, Lucknow, Jaipur, Mysore, Guwahati,Dehradun, Belgaum, Hubli, Gwalior, Anand, Warangal, Kannur, Coimbatore, Burdwan, Imphal, Agartala, Ludhiana, Nashik, Siliguri, Nagaland, Chennai, Shillong and Bangalore. The store is located in a prime location,offering thenew range of products like ASUS FonePad, ASUS Nexus 7, ASUS Padfone and the ASUSS series - which are the premium ultra-portable Notebooks.The store also showcases all the ASUS Touch notebooks, Ultrabooks, Tablets, Notebooks and Netbooks that are available in the market today. End users can look forward to the latest Gaming notebook G74SX and experience the thrill of 3D vision. The product range also includes the Eee Pad Transformer, which is the best tablet choice for users looking for both media consumption and mobile productivity with an expandable keyboard docking station. The New U Series Bamboo Collection (a follow-up to the first Bamboo Series launched in 2008) blends the wonders of natural design with cutting edge notebook computing and stylish mobility. PNY Technologies, Technologies® (“PNY”) considered one of a worldwide leader in Memory and Flash products, announced its authorized HP portable hard drive p2050/p2100 to take care of your portable data storage requirements. 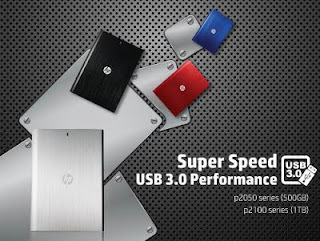 It sports a SuperSpeed USB 3.0 port that supports speeds up to 4x faster than USB 2.0, thus saving you a lot of time while transferring data. Of course, the drive is backward compatible with USB 2.0 and can therefore be used with older computers. With a single USB port, it doesn't require a separate power cable, thus saving you the trouble of carrying along a power adapter. The drive has a unique book-style design that lends it elegance and it won't look out of place if you stack several on top of each other in a bookshelf. The casing is made of durable aluminum and has a nice brushed finish. The slim drive is light and portable. Encased within is a 2.5" hard drive, usually found inside laptops, running at 5400 RPM. Available capacities are 500 GB and 1 TB, thus providing ample storage space for your data. WD®, a Western Digital® company and world leader in external storage and connected-life products, has today announced the availability of the WD My Book™ with a massive 4TB of storage capacity. The My Book is a sleek desktop hard drive featuring the USB 3.0 interface for ultra fast performance, making it the perfect solution for storing large files such as High Definition (HD) content. Compatible with Mac® and PC operating systems, the 4TB My Book offers a compelling cost-per-gigabyte proposition for daily storage needs such as backup, or for extending a machine’s storage to tackle HD content, family albums and entire music libraries. For automatic backup requirements Windows® users can use the included WD SmartWare™ software, while Mac users can take advantage of the features offered by Apple® Time Machine® to protect their data. The 4TB My Book also features WD Security™ that allows consumers to secure both drive and data against unauthorized access with password protection and hardware encryption. The WD My Book 4TB (WDBACW0040HBK) is available at electronic retailers at an MSRP of Rs. 14,999 + taxes, and is protected by a 3 year limited on-site warranty. 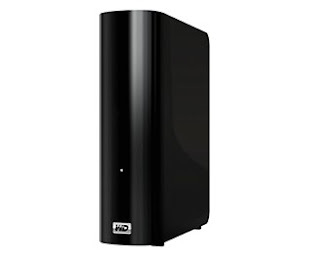 My Book desktop hard drives are also available in 2TB and 3TB capacities at an MSRP of Rs. 7,999 + taxes, and Rs. 9,999 + taxes respectively. Seagate Technology (NASDAQ:STX) today announced the new Seagate® Video 3.5 HDD— the industry’s first 4TB, 3.5-inch hard disk drive (HDD) engineered specifically for use in video applications such as digital video recorders (DVRs), set-top boxes (STBs), and surveillance systems. Purpose-built for video solutions, the Video 3.5 HDD can store up to 480 hours of high-definition (HD) content making it the industry’s highest-capacity drive designed specifically for video. Engineered to deliver superior performance and operation in three key areas of importance to manufacturers– high capacity and streaming capability, reliability and acoustics— the Video 3.5 HDD is ideal for satellite and cable providers and surveillance system builders. Featuring capacities up to 4TB, the drive supports up to 16 simultaneous HD streams or 20 standard-definition streams as well as 24x7 operation capabilities making it ideal for video content applications. Featuring industry-leading reliability, the Video 3.5 HDD has a 0.55 percent annual failure rate enabling product to be kept in the field longer while reducing the cost of field deployment and maintaining customer retention— making it ideal for manufacturers who need reliable product with long lifespans. The drive is engineered for low power consumption and heat emissions allowing solution providers greater design flexibility. The living-room environment requires superior acoustic management to limit audible distractions during operation of DVRs and STBs and the Video 3.5 HDD enables designers to build the quietest home entertainment systems possible. Boasting near silent acoustics, the drive operates below the range of audible sound for the human ear at just 2.3 decibels providing optimized acoustics for home entertainment components — crucial for consumer electronics and video applications. Silicon Power /SP, the world’s leading provider of memory storage solutions presents you with a newly designed USB flash drive – Jewel J10. Combined with high technology and sleek design, the Jewel J10 enables you to show your extraordinary taste anytime and anywhere. This Northern Europe inspired design is not just another ordinary memory storage device but also a luxurious accessory which allows you to express yourself. 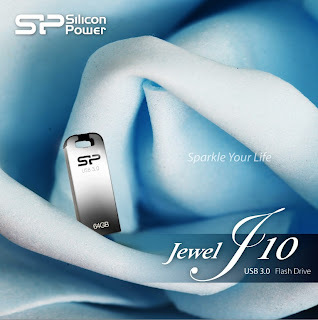 SP Jewel J10 will catch your eye with its stainless steel design and remarkable appearance, making itself a perfect combination of style and practicability. With the weight of 4g, J10 will amaze you with its mobility and convenience. Accompanied with advanced application of USB3.0 COB (Chip on Board), Jewel J10 is able to not only protect the golden finger from scratches but also prevent itself from damages caused by water, dust and vibration. Furthermore, the creative groove design ensures that your USB is only a keychain away. ASRock Inc. is established in 2002, specialized in the field of motherboards, is theworld third largest motherboard brand with headquarter in Taipei, Taiwan and branches in Europe and the USA. Announces the ultimate armor for protecting the 8 Series Motherboards. A new Splinter Cell Compilation game bundle is included with the ZOTAC GeForce GTX 780 and prepares gamers for the upcoming Splinter Cell Blacklist by letting them revisit Splinter Cell Double Agent and Splinter Cell Conviction. Splinter Cell Blacklist will be available to ZOTAC GeForce GTX 780 buyers as part of the Splinter Cell Compilation later this summer when the game officially launches on PC. It’s time to play with the ZOTAC GeForce GTX 780. 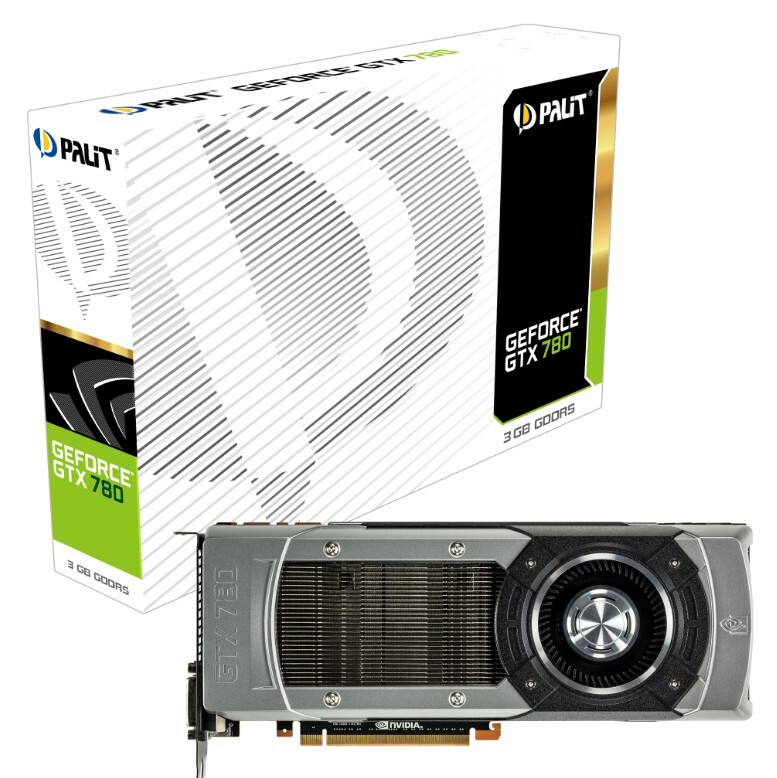 Palit Microsystems Ltd. is well-known for manufacturing stable, excellent, and innovative electronics products releases the powerful new Palit GeForce GTX 780 and its delivers more than just state-of-the-art features and technology. The new GeForce GTX 780 marks an evolution in gaming performance-an insanely fast, smooth, and whisper-quiet experience. It gives you truly game-changing performance that will transform the way you experience all your favorite titles-now and in the future. GeForce GTX 780 features a massively powerful NVIDIA Kelper™-based GPU with 2304 cores-50% more than its predecessor. Plus, it comes with 3GB of high-speed GDDR5 memory and NVIDIA GPU Boost 2.0 technology, giving you the performance capabilities you need to game at extreme settings. The GeForce GTX 780 is more than just fast and smooth. It’s perfectly tuned to today’s most advanced gaming technologies with features like GeForce Experience™ for one-clock driver and settings optimization, plus NVIDIA PhysX® and TXAA® for smooth, sharp graphics. GeForce GTX 780 armed with 2304-core -50% more than its predecessor-GPU that clocked at 863MHz and 3GB of GDDR5 memory at 6GHz, Palit GeForce GTX 780 is the flagship GPU of the GTX700 Series platform. It offers insanely performance to give hardware enthusiasts and extreme PC gamers the ideal gaming experience. Palit understands the gamers’ needs, this original board design will never satisfy gamers appetite. To ensure the extreme performance and stability, Palit will soon provide an own design GeForce GTX 780 performed better Overclocking ability and better thermal solution. Discover truly fame-changing innovation today. Experience pure performance and game on with Palit GeForce GTX 780. Genius is an international leading company in computer peripherals, launches the SlimStar 8000ME is a newly designed wireless keyboard/mouse combo. Which brings simplicity, efficiency and elegance to one’s lifestyle? The 2.4 GHz transmission ensures anti-interference and longer operational distance. 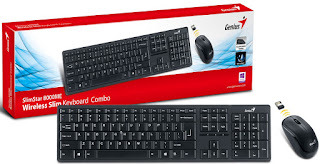 SlimStar features an ultra slim keyboard design, with innovative keycaps for great tactile feedback. In addition, a spill resistant design protects the keyboard from accidental spills. The Wireless mouse has 1000 dpi optical tracking technology so one can navigate web pages or documents effortlessly and the mouse is ergonomic designed to provide great working efficiency and performance. May, 2013, PNY Technologies (“PNY) considered one of the worldwide leader in consumer electronics market and Flash products, launched the new Power bank 52A (representing the 5200mAh battery capacity). In case you are worrying about your mobile phone battery dying out when you are in the middle of an important call, then there is good news. 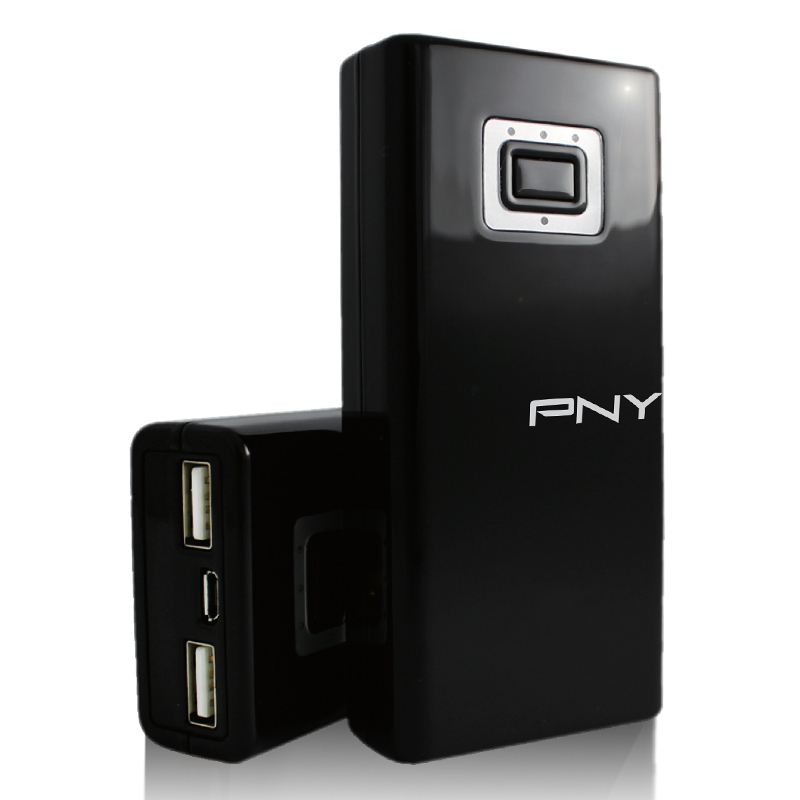 The external battery pack - PNY Power-52A will provides extra power to one’s mobile devices and makes them run longer. This high quality battery does not lose much of its charging capacity after recharged 300 times unlike common batteries that die out a lot earlier. The output voltage of 5 V and current of up to 1 A is sufficient to charge almost every smartphone. PNY Power-52A is sufficient to extend the battery life of most mobile phones by up to three times more without having to charge from its own charger. It comes with one standard USB port to charge various devices. The Power-52A is encased in a rugged polymer enclosure that looks stylish with its golden champagne color. It is compact enough to be easily carried along. A power button is present to switch it ON or OFF to save battery power when not required. There is a 4-LED gauge that indicates four power levels (>25%, >50%, >75%, and 100%) and there is another LED that indicates the power and charging status. PNY Technologies® (“PNY”) considered one of a worldwide leader in consumer electronics market and Flash products, launched the new Power Bank 80A . With power hungry mobiles and tablets, the battery backup is often just not enough. PNY Power-80A with a humungous 8000mAh battery that can easily take care of such troubles. This capacity is sufficient to charge most mobile phones up to 5 times, and a tablet may be charged once. The device comes with two USB ports that let you charge two different devices such as a mobile phone and an iPod or MP3 player at the same time. Two USB cables have been bundled along for this purpose, so you don't have to buy separately. If your phone uses a proprietary charging port, you can still connect its charging cable to one of the USB ports. Its micro-USB port allows it to be charged using its bundled adapter even while it charges the connected devices. The heart of the 80A is a high quality 8000 mAh Li-Polymer battery which is approved by FCC/CE certifications and SGS full battery capacity confirmation. It’s much safer and has very low chances of explosion. Unlike commonly available batteries that are usually of low grade, are recycled, and cheat on the actual capacity, this one is completely new, performs exactly as per specified capacity, and has higher efficiency and longer life. The battery can be recharged 500 times and yet retains 70% of its original rated capacity. Most other batteries become unusable after less than a 100 recharges. The output voltage of 5 V and current of up to 2.1 V is sufficient to even charge tablets, iPad, and other smart devices. The 80A gives the highest importance to the safety of the devices you charge. Its circuitry incorporates various protective measures such as protection against over charge, over voltage, over current, and short circuit. Smart power management controller ensures that the power conversion efficiency is maintained at up to 88%, thus minimizing waste of power. 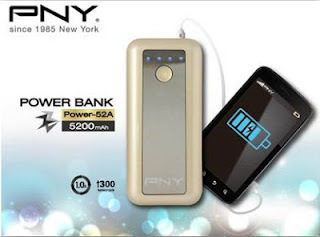 The PNY Power Bank 80A cost at Rs. 3500(MRP) and comes with a one year limited warranty. To add more value for your money, PNY also provides charging cables for iPhone, Samsung phones, PSP, and for devices that use mini-USB and micro-USB interfaces.